You are currently browsing carolinetrusty’s articles. It’s been a super busy week for me, so I’ll be quick. It’s crazy that it’s already the last week of the school year! Junior year has gone by like lightening, and I’ve hardly had time to truly consider the fact that in just a few short months, I’ll officially be a senior. It hasn’t quite hit me yet, but I’m sure once I’m on the plane home for vacation with my finals and a certain looming 20-page paper behind me, I’ll feel like celebrating my new senior-status. Speaking of finals, my French Literature class recently ended with a few students presenting their final projects. This year in French we studied several famous French authors and playwrights including Pierre Corneille and Moliere. French 70A has been one of my favorite classes this semester. Taking a 70 level French class is a requirement for my field in History & Literature, and I’m glad that it is. It is a same class where we spent a lot of time talking about the history of the literature, reading old-style French, and writing about our interpretations of the literature. For final presentations, students could chose a scene to rewrite and act out from the plays we studied. 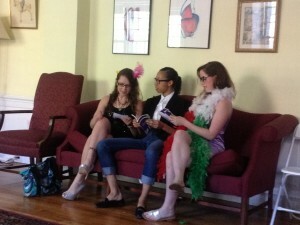 My fellow classmates did everything from tragic monologues to comedic group scenes – all in French of course. One group performed a scene from a Moliere satire called “Les Preciueses Ridicules.” Their rendition was great, along with their festive costumes. Looking to watch more theatricality, on Saturday I went to the final Immediate Gratification Players Performance. 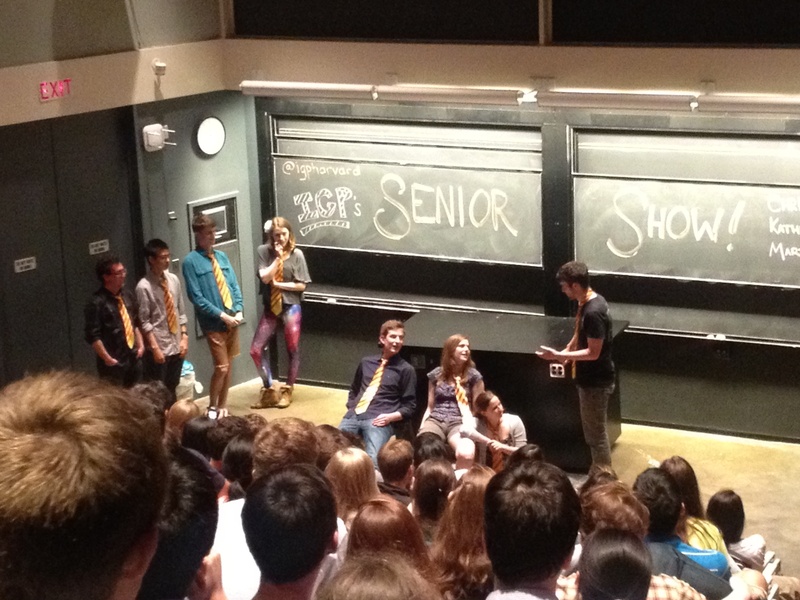 The IGP, an improv group, is one of my favorite groups on campus, and I try to catch their shows whenever I can. 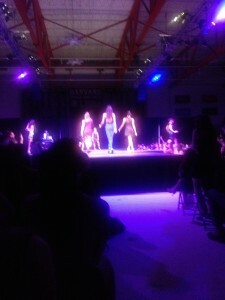 While their performance was a tad bit raunchier than their Parent’s Weekend show, they were still just as funny! 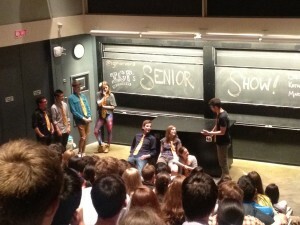 It was their last performance of the year, so the show included a celebration of their Seniors. The Immediate Gratification Players performed on Saturday for their last show of the year! That’s all for now. I’ll keep you updated next week! It’s been a pretty standard week here in Cambridge. Reading Period and Final Examinations are in full swing. Everyone you run into is either enjoying the weather of their Senior Spring Semester or hitting the books pretty hard, preparing for final exams or proofreading their final papers. I definitely fall into the latter category, as I am not a senior and I have a lot of final exams and papers coming up. But every could has a silver lining, and final exams mean that summer is almost here! I’ll be in Cambridge this summer, interning at the Harvard Law School, so I’ll be sure to keep you updated on how things are hanging in the 617. In the meantime, here are just a few things I’ve been up to this week. As a research assistant for a History & Literature professor I’ve gotten pretty familiar with the library system around here. 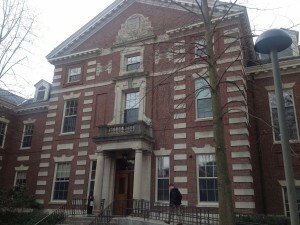 The Harvard Library system is one of the most extensive in the world. I feel like I spend 75% of all my time in any of the many libraries on campus, and I’m sure I have not even scratched the surface of what Harvard’s bookshelves have to offer. 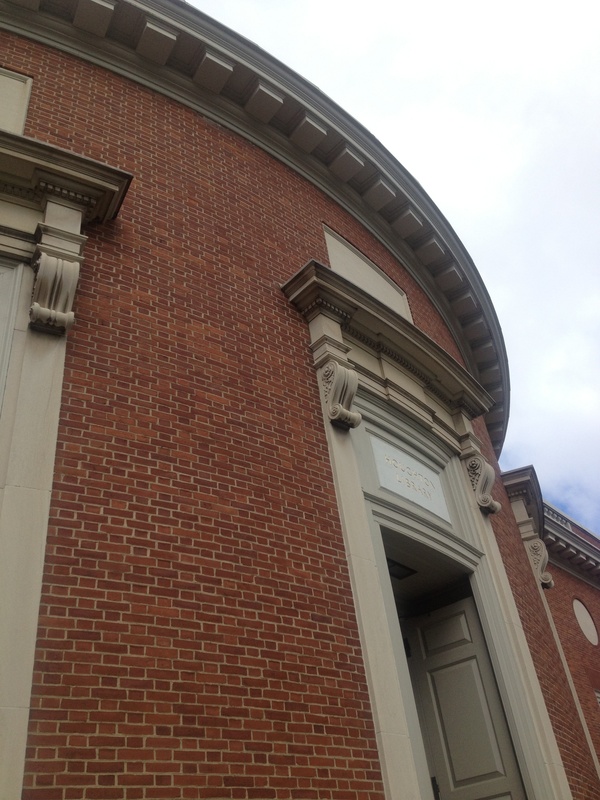 I was looking for a specific set of newspaper articles from 1922 this past week so I visited the Houghton Library. Neighboring Lamont Library, Houghton Library houses many of Harvard’s rare books and manuscripts. I’ve only been a few times, but is is always fascinating what kind of priceless pieces of history Harvard owns. And, as I found out upon my visit, they take that priceless aspect pretty seriously. Houghton is open to the public, but being allowed to research items is almost as difficult as getting through airport security. The staff was very strict about how items are treated, although they were incredibly friendly and helpful with my research. 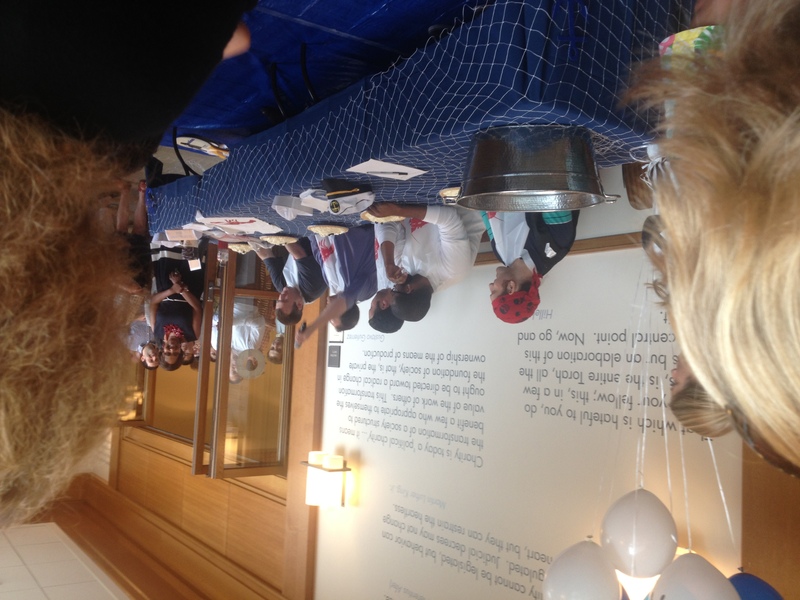 Check out the Houghton Library blog for more information! This past week was also the Eliot House Formal, otherwise known as Fête, the French word for “party.” It’s a fitting name as Fête is undoubtedly the greatest party on campus. EVER. And I’m not just saying this because I am a biased Eliot House resident. 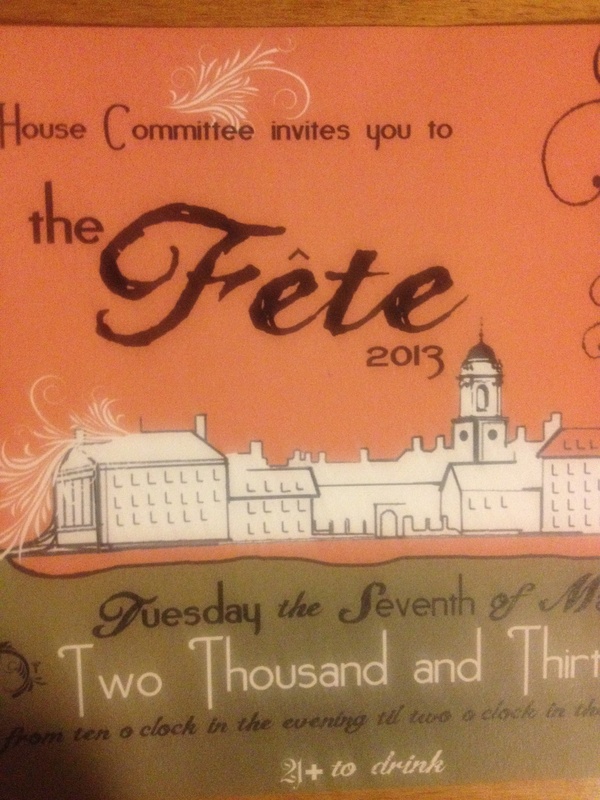 I’ve been to my fair share of house formal dances at Harvard, and while they have all been immensely enjoyable, none of them has come close to the greatness of Fête. 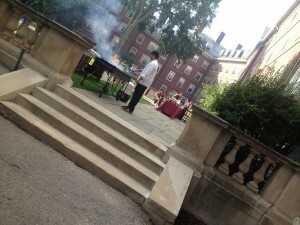 For one night a year, the Eliot House Committee turns the Eliot House courtyard into a scene out of The Great Gatsby. Twinkling fairy lights line the patio; a grand white tent sits on the grass covering a flawless hardwood dance floor. 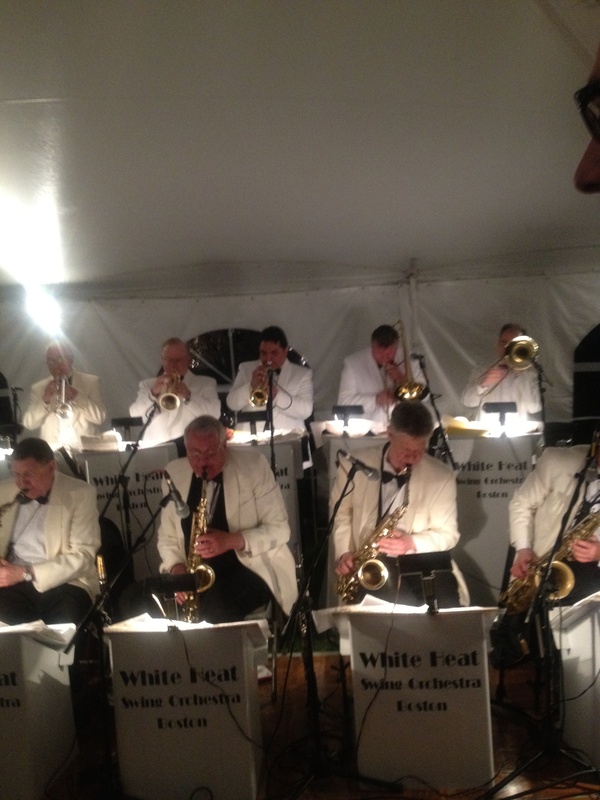 A live swing band plays great music that can be heard all along the river until 2AM. 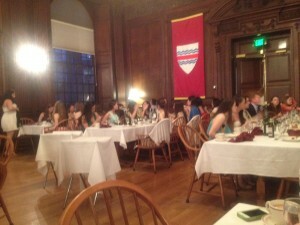 The guys and gals you’re used to seeing at 7:30AM in the dining hall in their sweatpants and workout gear are dressed to the nines in formal gowns and tuxes. It’s truly a magical night. 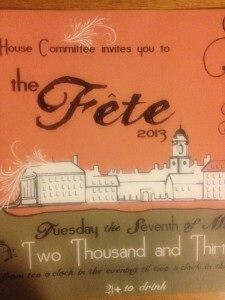 The invitation to Fete was slipped underneath our doorway about a week before the event! I’ve been hearing about the brilliance of Fête since I was placed into Eliot House my freshman year, and it definitely lived up to the hype. This was my first time attending and I loved the live band, the swing dancing, the decorations, and of course the chocolate covered strawberries. 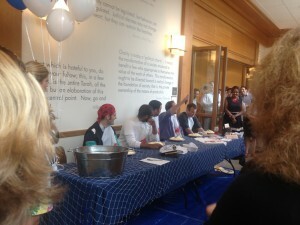 I am seriously counting down the days until next year, wondering how in the world anything could top this year’s party. The Live Band played all night! They were great. Well, with all of that said, it’s getting late, and I have quite a bit of studying to do. Wish me luck! 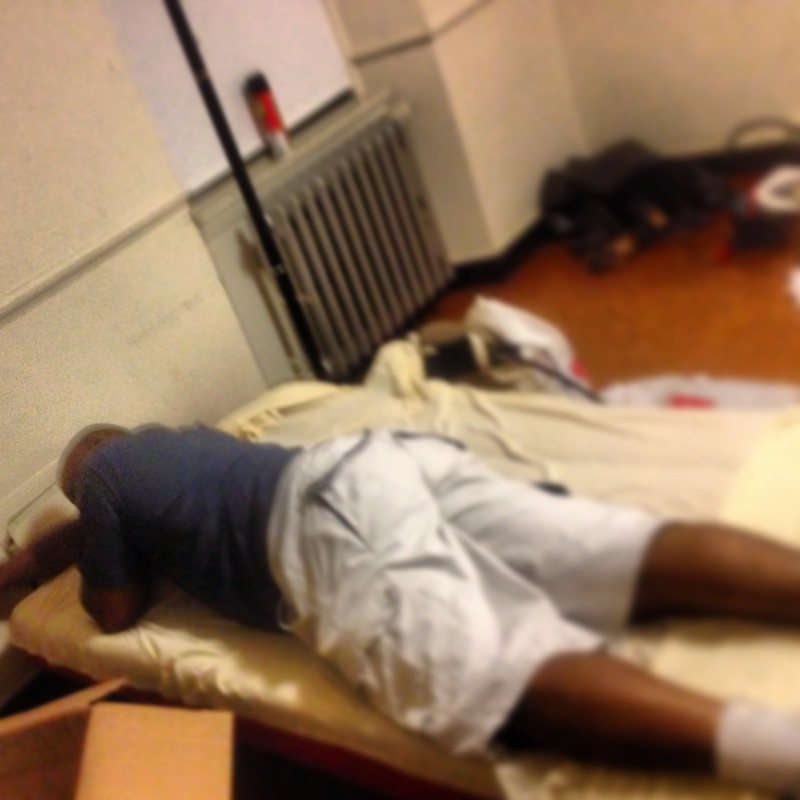 Another week, another blog post! I’m writing this post from my desk in L entryway of Eliot House, with all three of my windows wide open, letting the breeze from this beautiful day float through their screens. Things, including the temperature, are looking up here in Cambridge – the thermometer actually registered a high of 65 degrees today and I, along with my fellow Harvard Square residents, broke out my flip flops and sunglasses to soak up the rare, and much awaited rays of Vitamin D.
It was the perfect time for great weather because this weekend was Arts First! Arts First is a festival that takes place each year at Harvard. It showcases and celebrates the best of student art here on campus including theater, dance, film, music, visual arts, and so much more. In fact, with over 225 presentations, Arts First happens to be “one of the nation’s largest university arts festivals.” With over 225 presentations available, you can only imagine how busy Harvard was this weekend. Stuff was going on everywhere, from the yard to Queen’s Head Pub and beyond. Leverett House Coffeehouse included live music from student performers. On Saturday I went to see my friend Charlene’s band “Blue Print” perform at the Queen’s Head Pub. Blue Print is the rock n’ roll subgroup of Charlene’s a cappella group “Under Construction.” I’ve watched Under Construction perform, and so I was excited to hear Charlene play for Blue Print. No surprise – they were awesome! Charlene rocked the house on the piano, while her bandmates sang and played guitar and the drums. 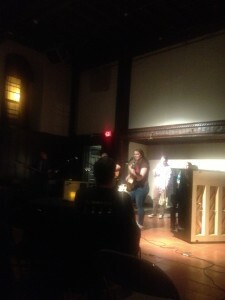 Charlene’s (hidden behind the piano) Band: Blue Print was awesome! 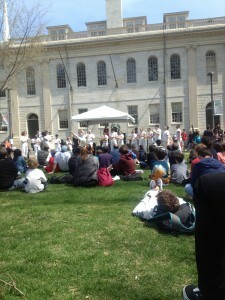 To round out my Arts First weekend, I stopped by a display put on by the Harvard Capoeira. What is Capoeira, you might ask? Don’t worry, I didn’t know what it was until this weekend either. 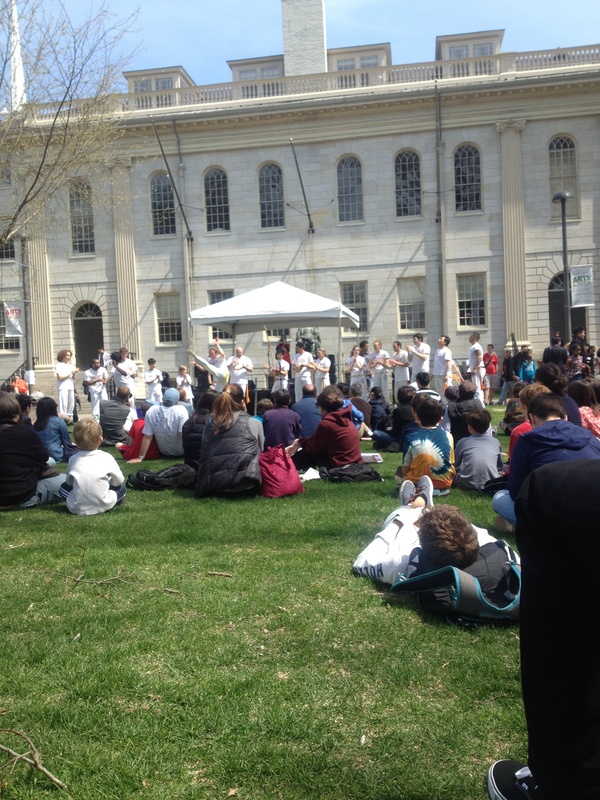 Capoeira is a Brazilian martial art that “combines Afro-Brazilian dance with martial arts and acrobatics.” They performed in Harvard Yard on Saturday, and as I was walking by I decided to check out their performance. They were great, and impressed me, along with other members of the audience, with their flips, spins, tumbles, and acrobatics, all improvised and done in time with their background music. Ever heard of Capoeira? I have! That’s all for now, time to get started on another week. It’s supposed to be like, seventy degrees tomorrow – sun dress anyone ???!!! If you were anywhere within a five mile radius of Harvard Square this weekend, you probably already know that this was a big weekend for us college students. If the loud thumping music didn’t give it away, the crowds of students all walking towards and gathering in the yard on Saturday evening would have. Two words, two syllables, and a whole lot of fun: YARD FEST. 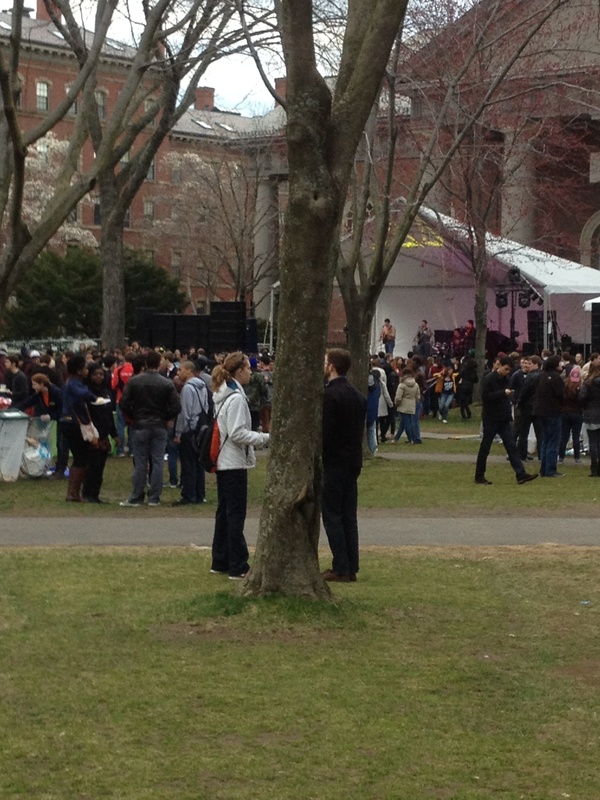 Yard Fest is the annual free College-wide concert that takes place each year in the Spring in the Tercentenary Theatre in Harvard Yard. For one afternoon and evening each year, Harvard Yard right in front of the Widener Steps ceases to be just a tourist attraction, or a part of the pathway to and from class. Instead, its transformed into a rockin’ concert arena complete with food, friends, and live music available for Harvard College students. 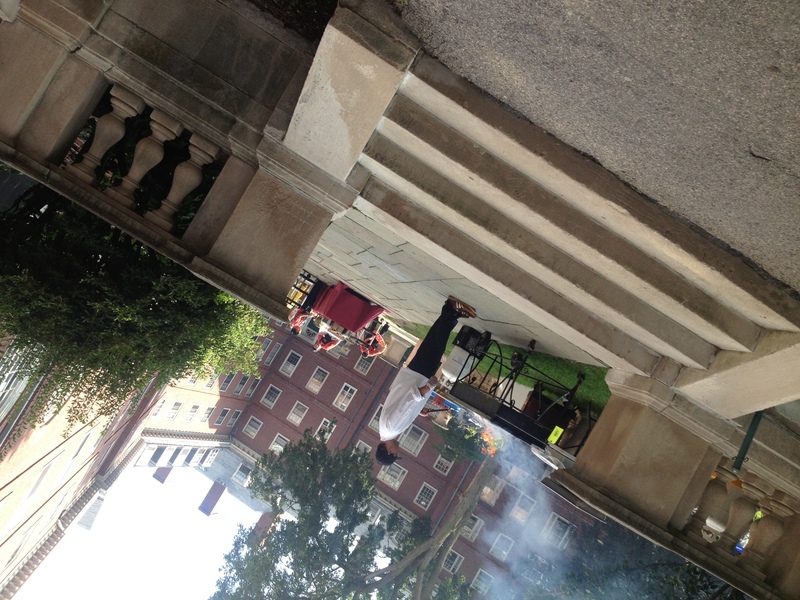 The day starts early with Harvard houses, clubs, and organizations on campus hosting a variety of pre-Yard Fest events from BBQ’s to mid-afternoon dance parties. Gates opened at 5:00 PM with dinner and a live show. 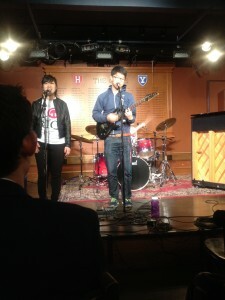 In addition to the headlining performance, student bands also performed at Yard Fest, including Puttanesca and The Cantab Cowboys. Both bands were great, and one of the members of The Cantab Cowboys hails from Eliot House (my house/the best house on campus), which already makes them a band worth listening to in my humble opinion. The headlining performer was the Top 40 rap artist Tyga. People milling about the yard, listening to the music and socializing! All in all, it was a great Saturday, and the perfect weekend to an already great week. 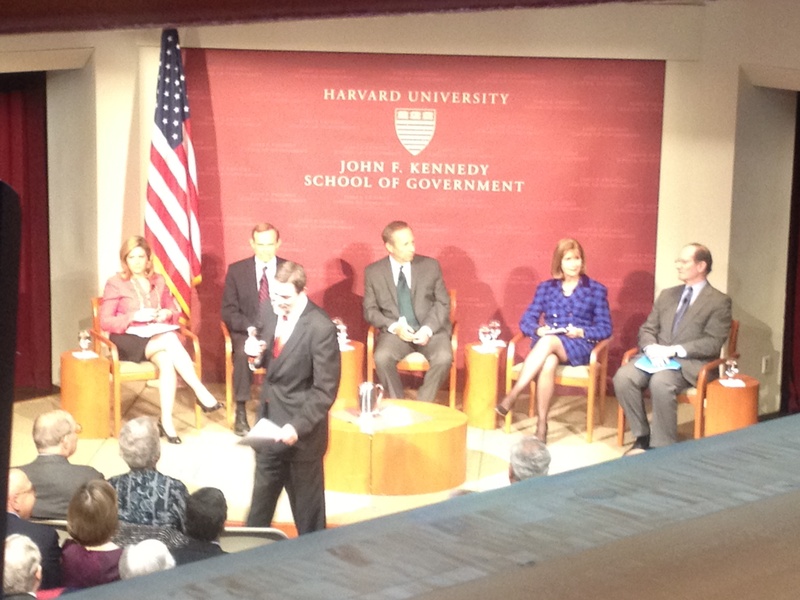 On Monday, I went to the Institute of Politics (what is rapidly becoming my home away from home away from home…) to hear a panel conversation at the John F. Kennedy Forum. The panel was called “Is America Working? What Business and Government Can Do” and it featured some really big names in politics including Roger Porter, Lawrence Summers, Paula Dobriansky, and Ben Heineman. They discussed the intersection between business and government today, how it has evolved, and what are some of the biggest problems the country faces today as far as employment opportunities and economic growth. 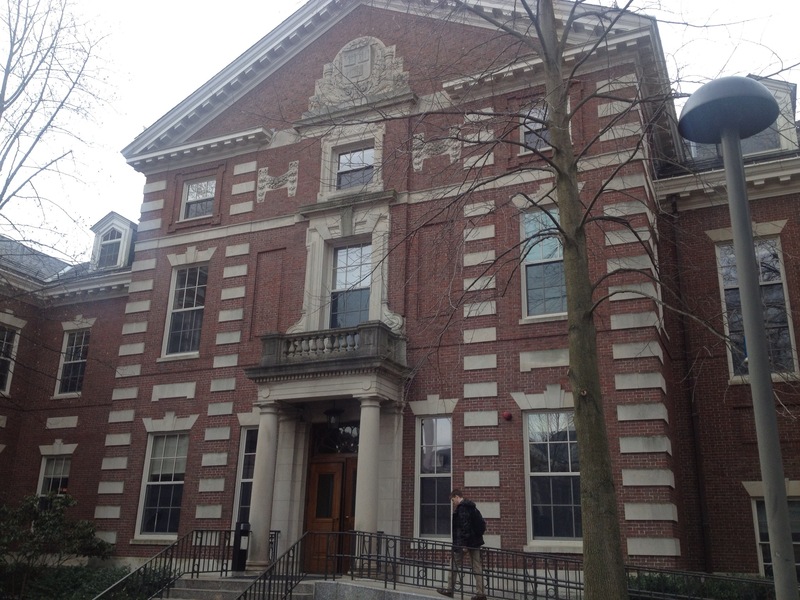 Because Harvard College is located in Massachusetts, I have the occasional opportunity (when I’m not glued to a desk at the library) to venture outside of Harvard Square and check out the many sites that the great MA has to offer. 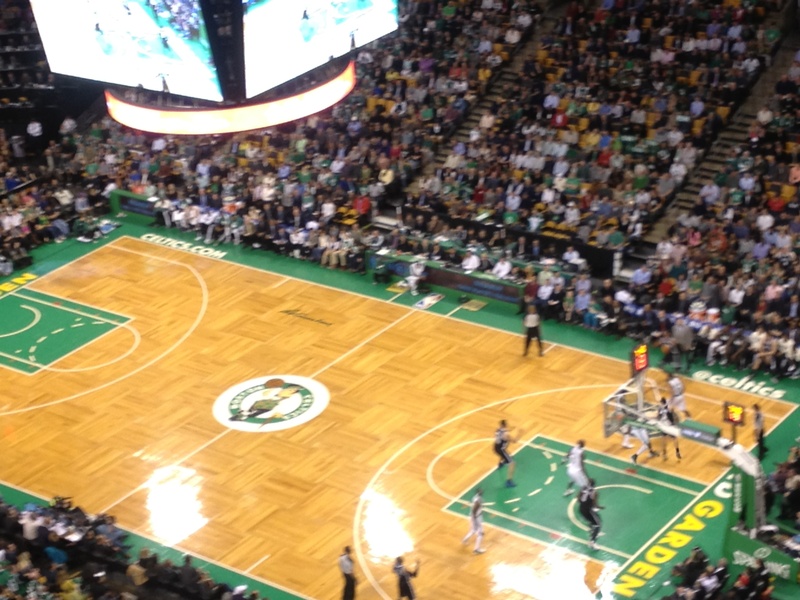 This week on Wednesday, I went to the Celtics basketball game! Celtics! It’s really too bad that they lost…but the game was FUN! The team played against the Brooklyn Nets at TD Garden. TD Garden, just a short T-ride away from campus, was packed with Celtics fans there to support the home team. Unfortunately, the Celtics ultimately lost out to the Nets, 101-93. Fortunately, I have no allegiances to either team, so I was able to sit back and enjoy the game. Well, that’s all for now folks! Whew! 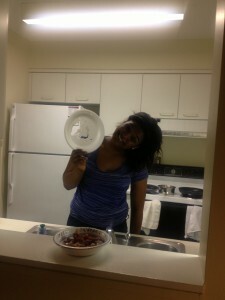 What a week/weekend! I hope you have all had a great Easter/Passover/April Fool’s Day! Congratulations to the Class of 2017 – regardless of where you end up, getting accepted to Harvard will undoubtedly be something you remember for a very long time. I had the opportunity to talk to high school students from my hometown who had recently been accepted to Harvard. It got me thinking about why I love the school so much. The number one reason I love this school is because there is truly never a dull moment and there is opportunity around every corner. 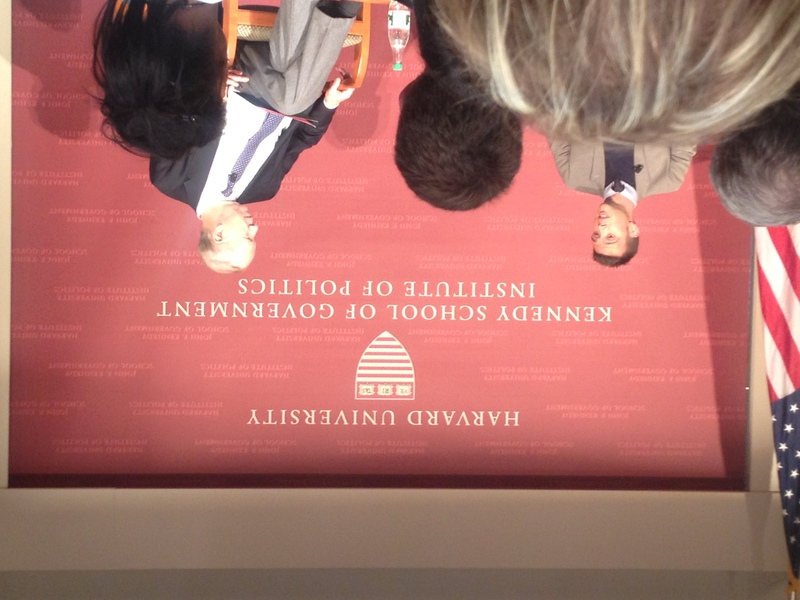 For example, last Wednesday I was able to hear Jon Favreau speak at the Institute of Politics (IOP) at the Harvard Kennedy School of Government. Jon Favreau is President Obama’s former Director of Speechwriting. Jon Favreau, the President’s former speechwriter, visited the IOP last Wednesday to talk about his work on the campaign trail and in the White House. He spoke at the IOP about his experience writing speeches for the President, working on everything from campaign speeches, State of the Union addresses, to White House Correspondent Dinner jokes. Favreau regaled us all with stories about working side-by-side with the Commander in Chief, an already accomplished speechwriter himself, and what he believes makes a good speech. 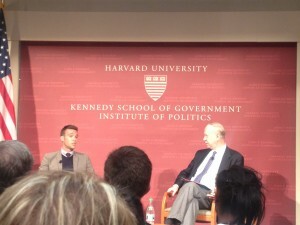 You can check out the IOP website for a full video of Favreau’s visit. 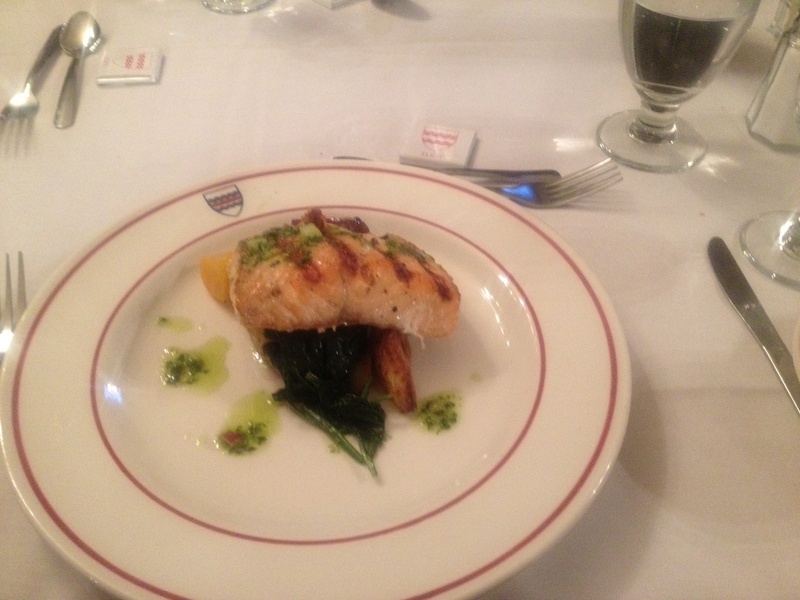 Last Saturday I was lucky enough to score tickets to the Lowell House Opera. Lowell House dining hall was transformed into an opera house, complete with a stage, lights, and a makeshift orchestra pit for the production. 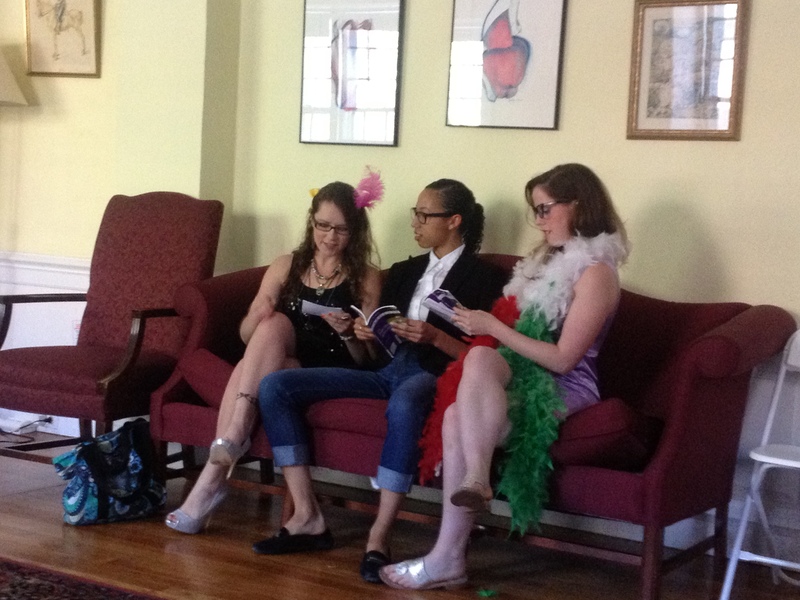 This year was the 75th anniversary of the Lowell House Opera, and they put on a Midsummer Night’s Dream. I have read the Shakespearian play several times, and have seen it performed once or twice before. Seeing it performed as an opera, however, was a completely different experience and one that I am unlikely to forget. The acting was great, the singing was phenomenal, and the set design and costumes made the performance come alive. It was also really funny – I found myself laughing out loud at some of the character’s antics, and I left the show impressed, and a little curious as to how they could remember all of their lines. It’s one thing to have to speak all of that dialogue, but to sing each and every line at an extremely high pitch? Wow. I got home by way of Logan Airport – the airport that’s located just a few miles away from school. Usually, I just take the T there, but if I’m feeling particularly swanky, then I’ll splurge on a cab ride. This time, however, was especially great because of a new Undergraduate Council initiative – the Airport Shuttles! Just in time for this Spring Break season, the Undergraduate Council has now implemented airport shuttles that leave every hour between 4 AM and 7 PM the weekend that Spring Break starts. Now, instead of having to pay $40 for a one-way cab ride, or schlepping my luggage on the T, I was able to pay just $6.50 online to reserve a seat on the shuttle going to the airport. It got us to Logan in twenty minutes flat. Thanks to the shuttle service, I got to the airport, to the Southwest terminal, through security, and to my gate, all with enough time to buy a soft pretzel and the latest People Magazine. So, in case you were wondering, members of the Undergraduate Council, you’ve definitely gotten yourself a new fan in yours truly! Like I said in my last post, my plans for Spring Break this year are pretty mellow. I’ve got plenty in my Netflix queue and the relatively warmer Baltimore weather to keep me busy, but I’ll let you know if anything exciting happens. Until then, have a great week!!! 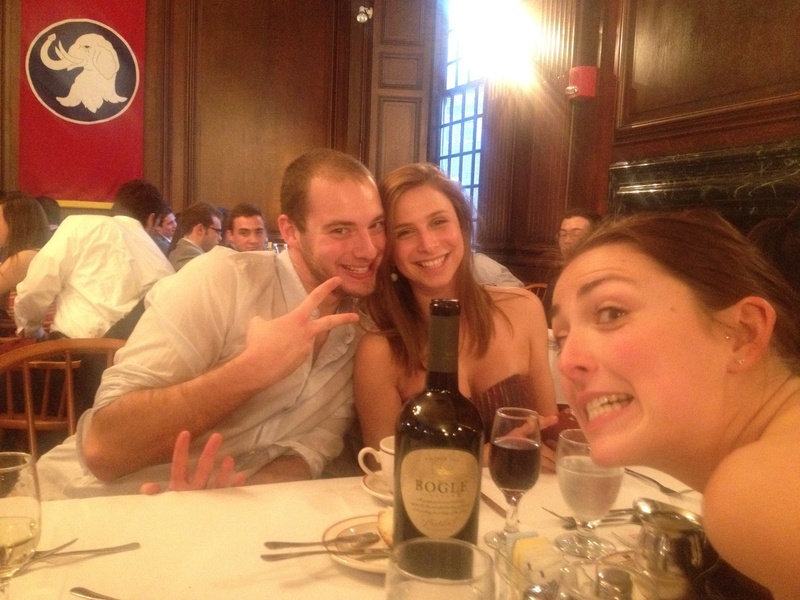 Oh, and PS: did you hear about the Harvard Basketball team? Besides being really tall and collectively really handsome, they’re also in the NCAA tournament this year. GO HARVARD!